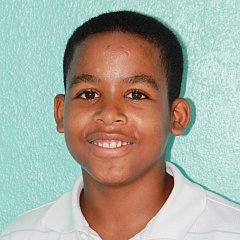 Argenis is a happy-go-lucky boy, eats to his heart’s content, and is in sixth grade at a local Christian school. He has portrayed Emilio Prud’homme, the man who wrote the Dominican National Anthem, in the Wax Museum’s National Celebration Day Parade at school. He loves to cook as well as eat and he loves to serve in our neighboring communities.